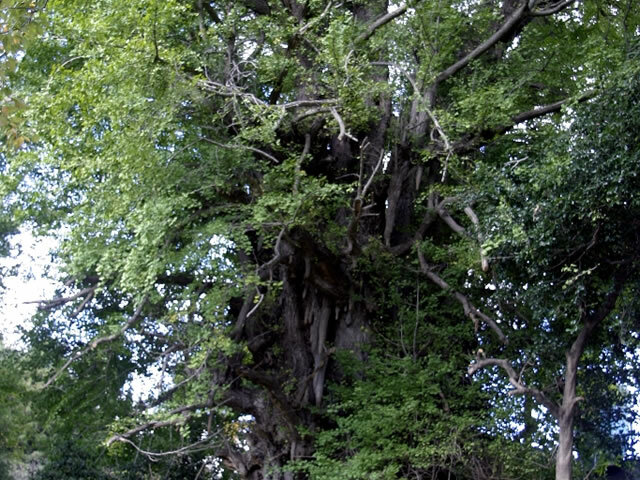 The amago no icho is located in the middle of Atago mountain and is estimated to be about 650 years old, 31 m tall, 11 m in circumference, 14m spread to the east, 12 m to the west, 11 m to the south and 13 m to the north. The plant is male. The guide plate explains that "there are 16 growing aerial roots, some that are 4 m long and with a 50 cm diameter. The tree is strong and healthy with beautiful tree shape, and is one of the leading large ginkgo trees in Japan. Shibata-machi board of education." 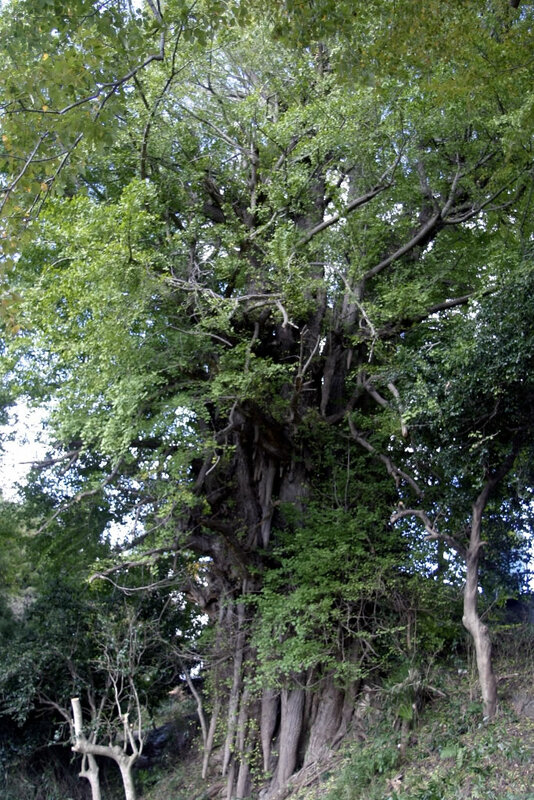 Amago no icho (Ginkgo from Amago) has been designated as a national natural monument (plant) in 1968. This is where people long ago said their prayers for the rain to come, and the spring water flowing near the root of the ginkgo tree is said to have never run dry.